People dedicate their entire lives and at the End, they merge with the whole eternity. If I have to be honest I had forgotten about that historical invention, but a documentary movie reminded me how Hubble is literally an eye to something immortal, precious and eternal. Colors and forms create a fairy tale. Let's have a look to some of them. I am pretty sure that the science can show us a piece of Heaven but we should believe in miracles. It is not enough to find some information about something on the Internet, because that is just a point of view of somebody else's discovery. It sounds confusing but everything comes on order when we strip the material and add the spiritual. The Universe seems like the greatest artist ever had created a living picture. Actually, the Hubble's images that are sent back are in black and white and the color images are made by combining two or more black and white exposures trough colored filters during image processing. The Hubble Space Telescope saves Breasts, because it assisted in the advancement of technologies. The STIS (Space Telescope Imaging) is used to search and detect supermassive black holes. The same technology is used by medical professionals. There is a truth and we are connected with it. The Universe is a beautiful mysterious dance and we are involved in. Hubble is step a head to the fundamental conclusions. Thanks a lot! Universe is amazing! Space has always been fascinating to me, ever since I was little. 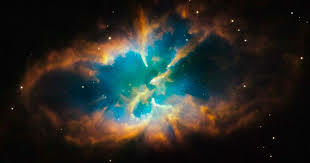 It's amazing all the new things they can explore up there now thanks to the Hubble space telescope. This is such a nice post and I love that you share this for us. Universe is really beautiful even though I am not able to see this in face to face but by using our new technology it is possible for us to see how beautiful our universe is. I totally agree. Looking at these images I can say that the universe is the biggest artist there is. I mean, no one can think of images like these! Awesome! This is such an interesting post indeed. Learning about space is really fascinating, there is so much beauty up there to see and find out about. 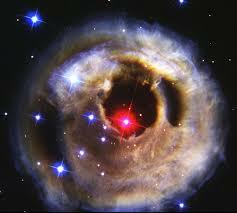 The Hubble Space telescope can show us and teach us some pretty amazing things about the universe. But I agree with you we should still believe in the miraculous and spectacular. Sounds crazy but awesome. The photos are spectacular and truly capture the awesomeness of space, and the Creator's magnificence. 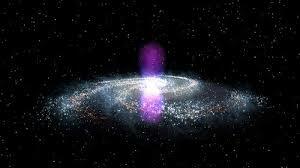 I firmly believe science and the spiritual realm can co-exist and support each other. I have been fascinated by space since I was a young girl. I'm always in awe whenever I see pictures of it.